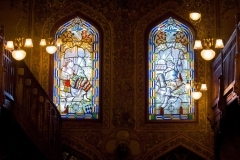 The three wide windows of the Stavropoleos building are embellished on the top with several stained-glasses, with frames of colored glass, depicting static scenes with fruit, birds, game and vases, painted in light colors on yellow glass. 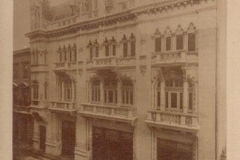 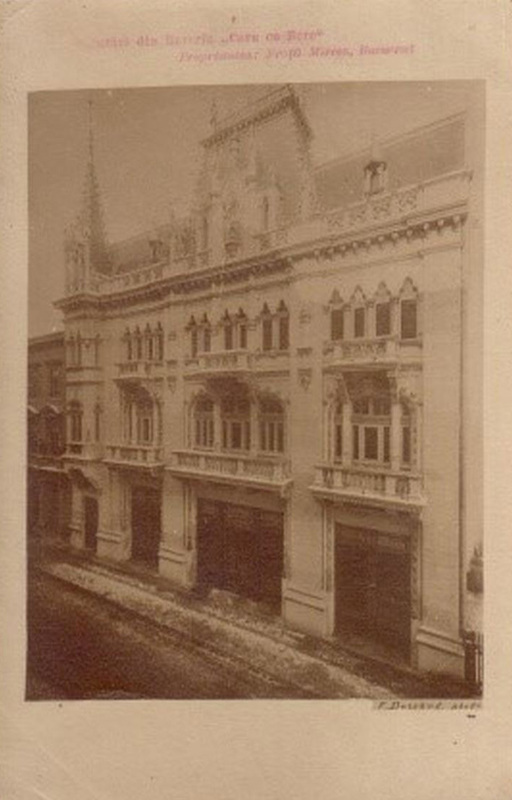 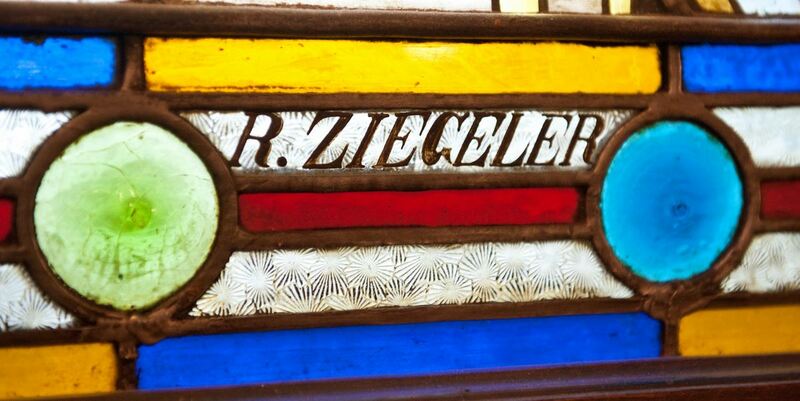 These stained-glasses appear in the postcard Duschek befpre 1905. 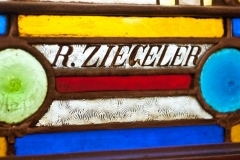 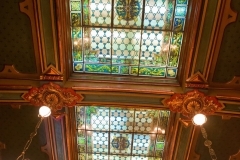 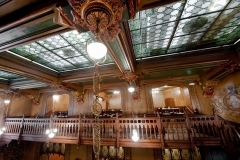 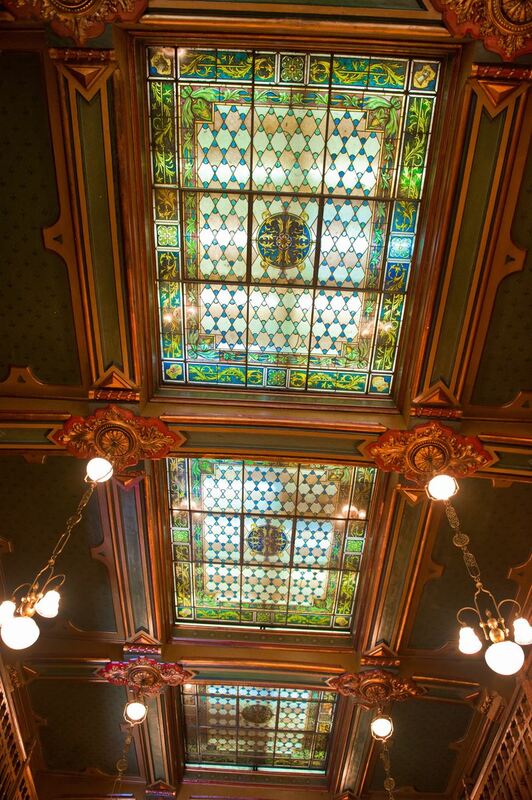 Together with the expansion of 1924, the two stained-glasses on the back wall were made, under the signature of Rudolf ZIEGELER, as well as the skylight in the central area. 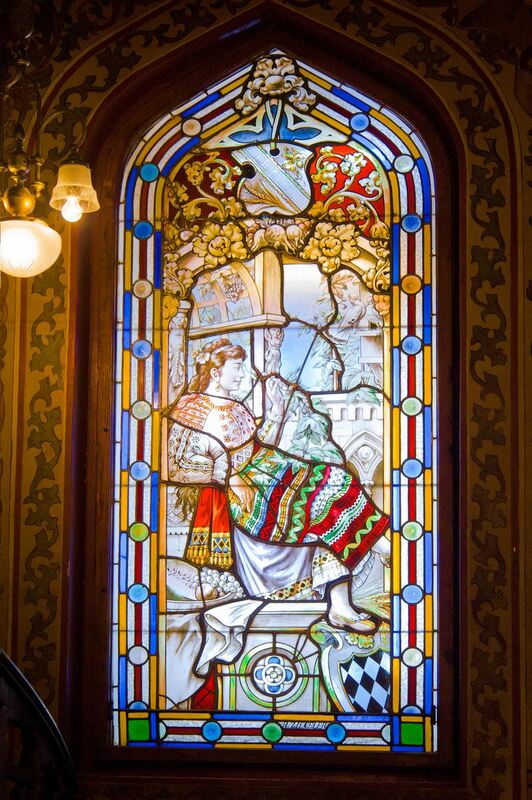 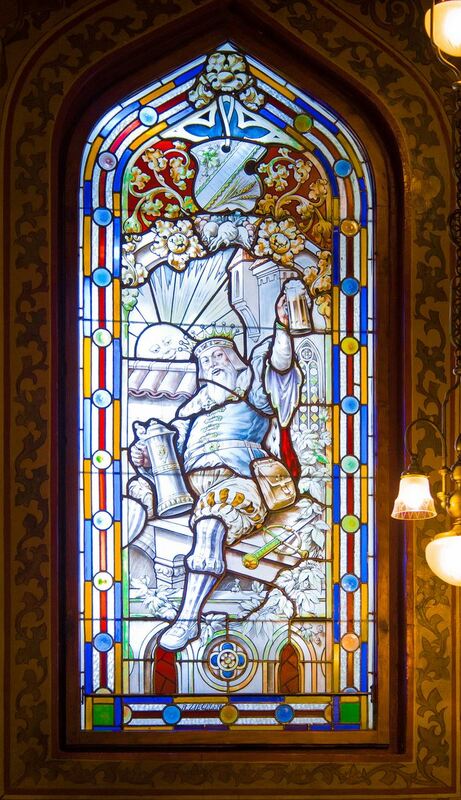 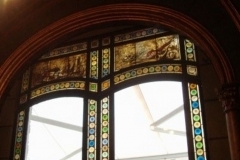 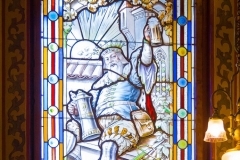 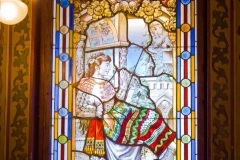 The stained-glass depicts a peasant girl in national costume and a man – Gambrinus – in an attire of the 18th century. 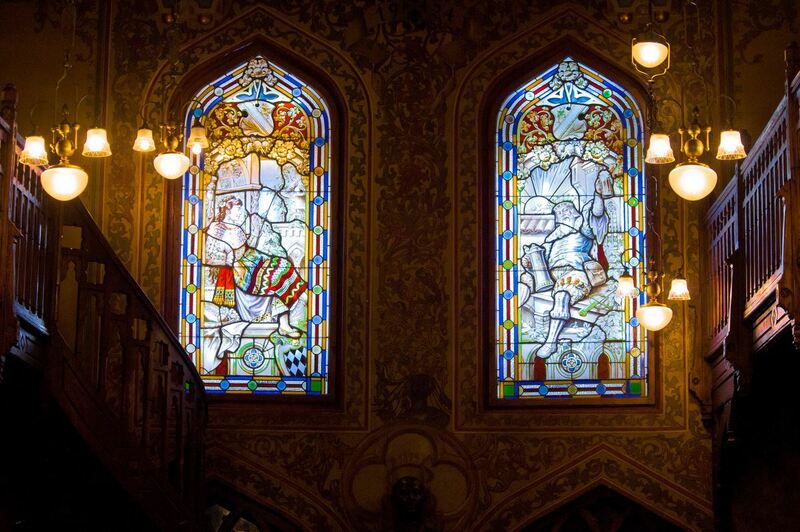 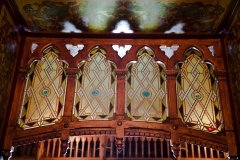 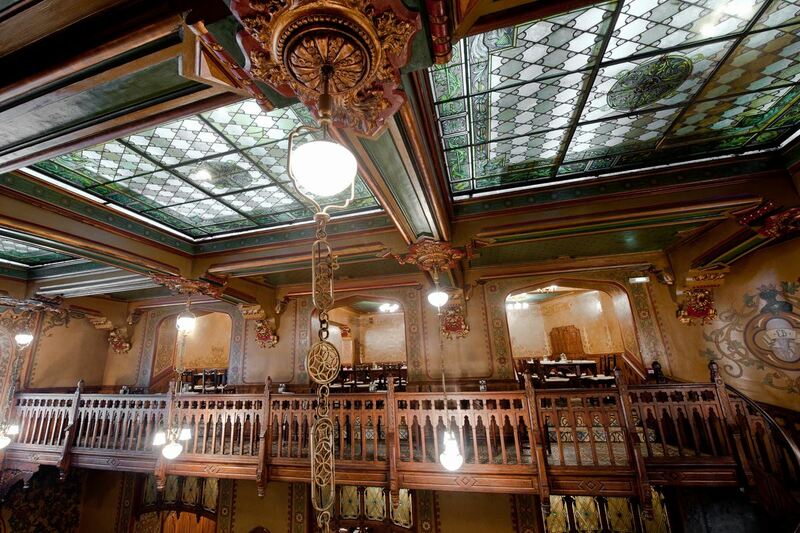 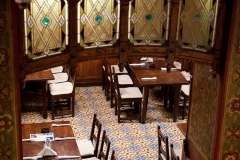 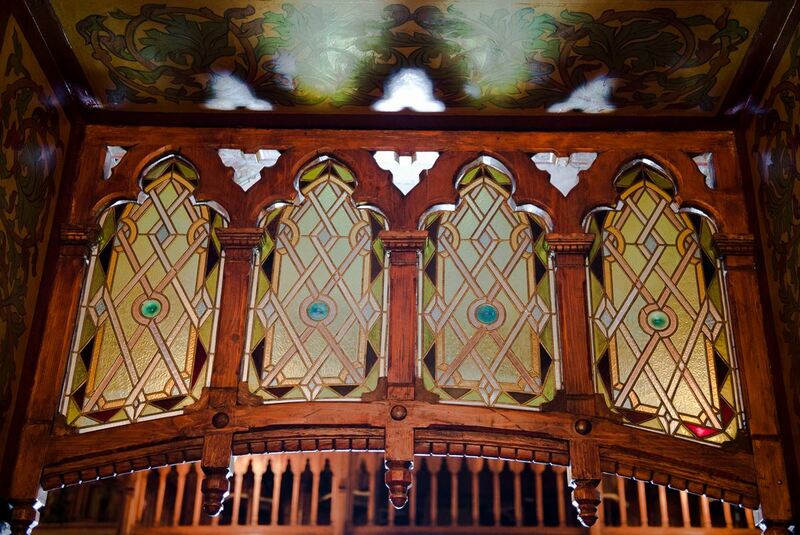 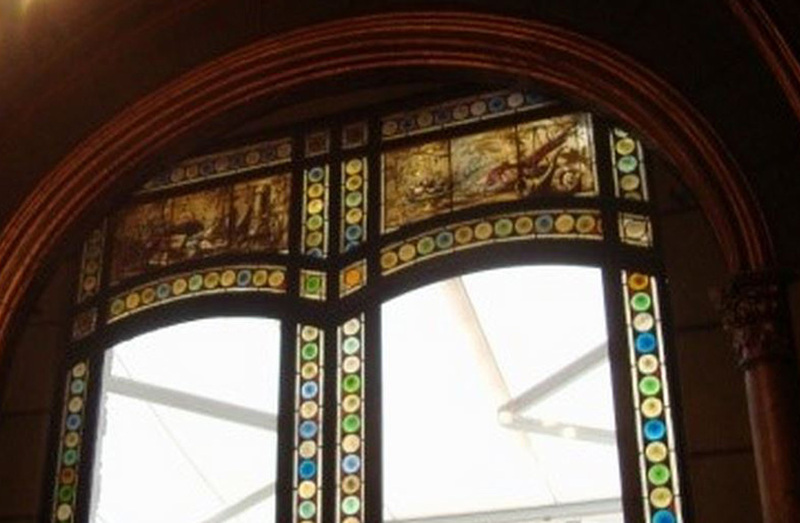 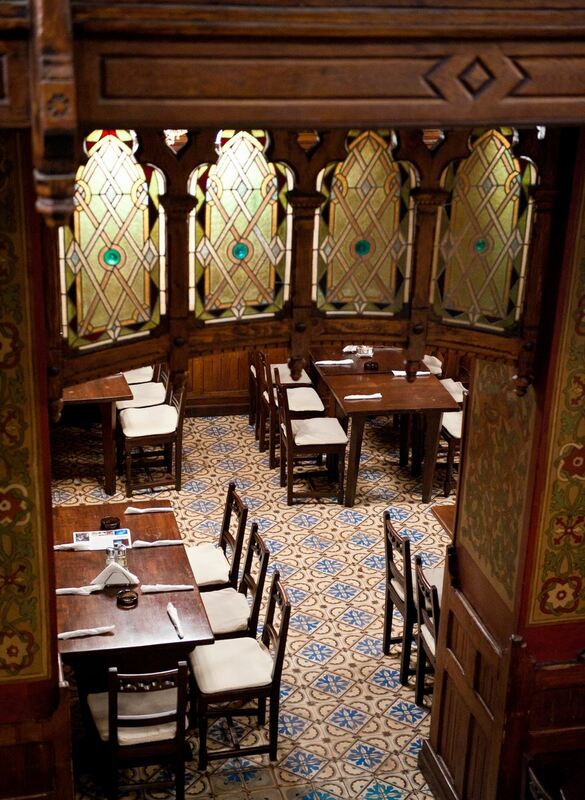 The redecoration of the establishment in 1983-1986 also included the restoration of the stained-glass by loan CADAR.